Armstrong Ceilings is marking the start of a new school year with the launch of a new education brochure which focuses on helping architects and specifiers design cost-effective wellbeing measures into education buildings for the benefit of students as well as staff. 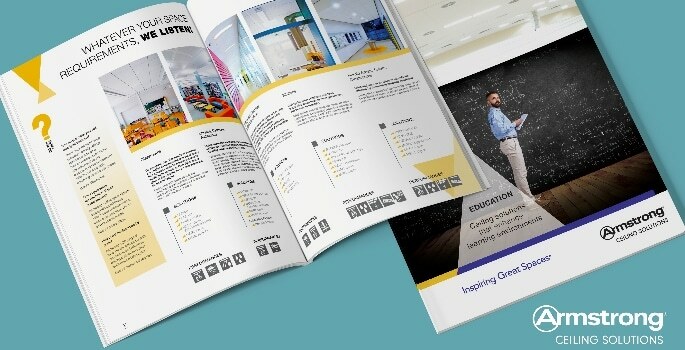 The new education brochure highlights the ceiling systems that make a difference in education facilities by focussing on three key areas – enhancing learning environments through acoustics, creating visual impact through upscale and inspiring solutions, and protecting students and the environment through sustainable building design. 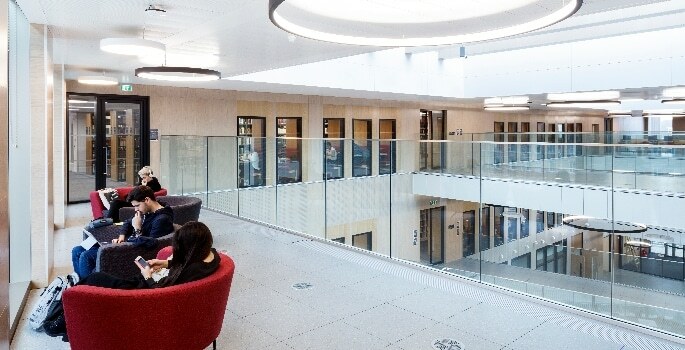 It also explains how Armstrong’s pioneering recycling programme for mineral ceiling tiles used in new-build and refurbishments projects contributes to LEED®, BREEAM, HQE, DGNB and Ska credits by including ceiling recycling in construction waste plans. 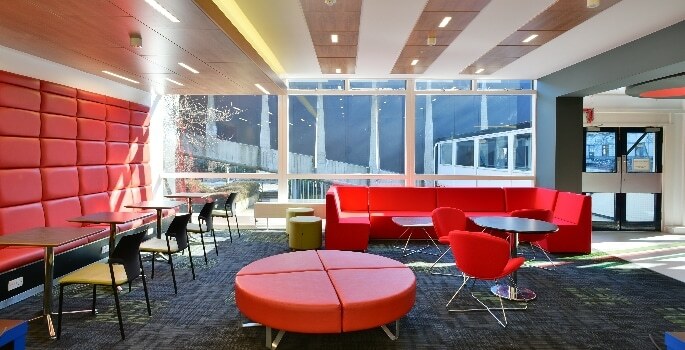 A test conducted by Dr Kenneth Roy, senior principal research scientist for acoustic technologies at Armstrong, demonstrates the difference a high performance acoustic ceiling can make in an existing classroom. The test took place in a sixth grade classroom at the Robert E Lamberton Public School in Philadelphia, PA. Built in 1949, the 24′ x 44′ x 11′ classroom consisted of a plaster ceiling, concrete block masonry walls and a vinyl tile floor. The Noise Reduction Coefficient (NRC) of the existing ceiling was approximately 0.25. Sound reverberation measurements in the room were found to be an average of 1.08 seconds, far exceeding the ANSI S12.60 maximum acceptable reverberation time of 0.60 seconds. The December issue of Independent Education Today is here! With a huge global shortage in trained teachers - and 27 million more required by 2030 - to what degree can online learning educate the world?